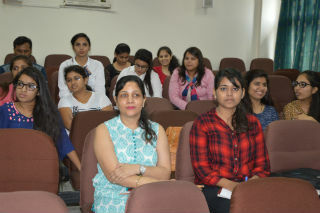 Marketing club organized a Marketing quiz titled “Quizzing the 4Ps” on 27th August in the auditorium. The objective of this activity was to provide a platform to students where they can learn and showcase their Knowledge about brands and Marketing Strategies. There were four interesting rounds; Product, Price, Place and Promotion round. All the rounds had a theory, audio visual, Brand logo and Tagline rounds. 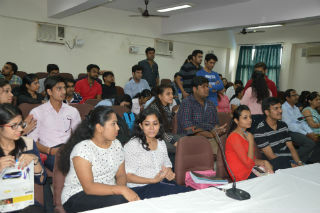 Students formed a group of 2 members and there were 20 teams which participated in the prelim round. 5 best teams were selected who played the final rounds. 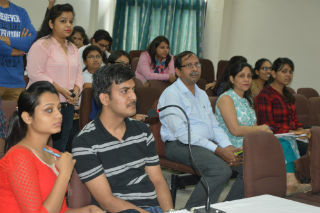 Students were quite enthusiastic in answering the questions in various rounds. There were a lot of questions for the audience who excitedly answered the questions. 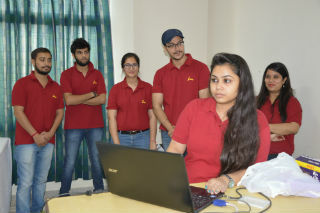 The teams were evaluated on their performance in all four rounds. At the end of the event first runner up and winning teams were announced. The winning teams were awarded with prizes and certificates.